Highlights of Swindon’s 2-1 defeat to Peterborough from League One. 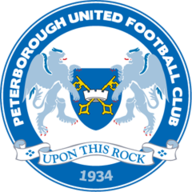 Peterborough secured their first victory at Swindon in more than nine years as goals from Jon Taylor and Lee Angol guided the visitors to a 2-1 win at the County Ground. Swindon dominated the opening half-hour, with Ben Gladwin twice going close from distance, but Peterborough came back into the match in the final 15 minutes of the first half. 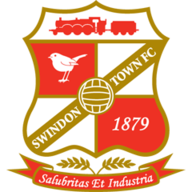 Taylor's overhit cross beat Swindon goalkeeper Lawrence Vigouroux only to rebound to safety off the frame of the goal in the 29th minute, but the visiting midfielder managed to find the back of the net nine minutes later. Jermaine Anderson's looping ball into the box fell to Taylor, whose volley squeezed between Vigouroux's legs. Posh doubled their lead in the 53rd minute in comical fashion. Vigouroux failed to clear a backpass, instead allowing Angol the opportunity to tap home into an unguarded net from less than a yard out. Swindon found a lifeline with 16 minutes remaining, as Michael Bostwick headed Anton Rodgers' free-kick into his own net, but the hosts failed to find an equaliser and are still without a home win since the opening day of the season.